Around 20 days after the principal of a school in west Delhi committed suicide on the school premises, the body of his 25-year-old friend was last night dug out from the premises of same school. In the wake of the Mayapuri incident where six persons got seriously injured after getting exposed to a radioactive element, the Municipal Corporation of Delhi (MCD) has decided to form a ‘scrap inspection policy’ to avoid similar incidents in future. The multiplicity of authorities in transport may soon end as Delhi Transport Corporation, Public Works Department, transport department and traffic police will come under one umbrella as a cabinet meeting today approved the Delhi Urban Mass Transit Authority (DUMTA) Bill. If all goes well, bus commuters in south Delhi will soon get rid of jittery rides in the overcrowded private buses and be able to comfortably travel in private low-floor buses before the Commonwealth Games in October. A 45-year-old builder was seriously injured after a parcel which he received through a private courier company exploded on opening it at his residence in the Jamia Nagar area of south-east Delhi this evening. A dreaded criminal, carrying a reward of Rs 50,000 on his head, was shot dead in police encounter near Mahamaya flyover in Sector 94 around 5.15 am today. However, his two accomplices managed to escape. Pointing out shortcomings in the preparation of post-mortem reports and illegible writing used to prepare medico legal cases (MLC), a Delhi court has issued suggestions for the improvement of these reports to ensure better justice. Delhi continues to sizzle in an unusually hot April with temperatures rising six degree above the average on this date of the year. Jawaharlal Nehru University will take action against those involved in Friday night’s clash between pro-Naxalites and anti-Naxalites students’ organisations on the campus. Following intense and near unanimous protests among teachers against the proposed change in Jawaharlal Nehru University (JNU) statute for the extension of the vice-chancellor’s term, BB Bhattacharya, the present VC, has reportedly told his colleagues that he is no longer interested in taking a second term. The Delhi cabinet has taken a decision to cancel allotment of 8,123 industrial plots lying vacant in Bawana. A Delhi court today issued a bailable warrant against the principal of a school in Mumbai where the key accused of the Delhi serial blasts, Salman Ahmed, had reportedly studied till Class VIII. The warrant asks the principal to appear before the court on April 20, the next date of hearing of the case. The court issued the warrant after the principal failed to appear before it with data related to Ahmed’s date of birth. Claiming that the Noida police has failed to give justice to her, a woman resident of Sector 44 has lodged a complaint with National Commission for Women (NCW), seeking protection from the estate manager and water boy of her apartment against whom she has lodged an attempt to assault case. The woman stays at Stellar Green Apartments. A Delhi court today recorded the statement of a prosecution witnesses in an extortion case which has underworld don Abu Salem as an accused. In an indication that Delhiites enjoy good health, a survey says they are the lowest spender on health in comparison to other northern states. Families here record an average spending of 3.34 per cent of their cumulative household expenditure on health, said the study, carried out by a private bank and ASSOCHAM and released today. The Municipal Corporation of Delhi will hold a one-day camp to facilitate the unauthorized mobile tower companies to get registered . A minor fire was reported from a school in east Delhi today afternoon. No injury was reported in the incident. The Government Officer’s Welfare Organisation (GOWO), an NGO, has announced housing schem for the serving and retired officials of the central and state governments. Four ragpickers allegedly involved in a number of robberies were arrested by the North West district police yesterday. The Central Bureau of Investigation has filed a chargesheet in the court of special judge, CBI, Tis Hazari, today against the former chief manager of Punjab National Bank and a proprietor of a Chandni Chowk-based private firm for cheating the bank of Rs 240 lakh. The incident took place at S.V. Public School in the Dass Garden area of Baprolla Vihar under Ranholla police station in west Delhi. The victim, who was probably strangulated and then buried in the pit, has been identified as one Dinesh Sharma, a resident of Raj Nagar area of Palam Vihar in south-west Delhi. He was a close friend of Pankaj Bhardwaj, the school principal who was found hanging in a classroom on March 22. Dinesh’s body was dug out after a school guard informed the police of foul smell emanating from the barren grounds inside the campus. “The body has been sent to the DDU Hospital for post-mortem. Dinesh had gone missing on March 19 and a report about it has been lodged on March 20,” said Sajjan Singh, SHO, Ranholla police station. Since Bhardwaj committed suicide on March 22, the police believes that he killed Dinesh either on March 20 or 21. According to police sources, a school help told the police that on March 20, Bharadwaj had requested him to dig a pit for planting some medicinal herbs. Although, the police has detained two persons for questioning, the officers believe Bhardwaj killed Dinesh before committing suicide. “It is an open and shut case. Dinesh and Pankaj were engaged in some property business. It seems the two had fallen out over some deal and Pankaj killed and buried Dinesh before committing suicide. However, we have detained two local property dealers to ask them about the dispute which could have led to the murder,” said a police official close to investigation. The police sources revealed that Dinesh and Bharadwaj had sold a 50-metre plot close to school. However, the buyer, after he had built the boundary, was accosted by some person who claimed that the plot belonged to them. “Some thing of this sort took place. It seems the buyer pressurised them to return the money and Dinesh and Bharadwaj differed over this,” said a police official. According to him, the cause of friction might be disputed but preliminary investigation points out that Dinesh was killed by Bharadwaj. The two detained property dealer— Rajnish and Kalle — were the mediators of the deal. A senior municipal officer said that the corporation had asked the municipal commissioner to draft a policy for scrap merchants. The policy will include guidelines for merchants dealing in all sorts of scraps that will help them in categorising and identifying materials which are harmful to humans. “The policy will create awareness about harmful scraps. We will issue guidelines about junk items that could be useful and the ones that are disastrous,” said the officer. The standing committee chairman Ram Kishan Singhal said that the MCD would train scrap merchants to identify the junk of a particular nature. “The merchants dealing in junk are usually illiterate and they buy everything that is available thinking that it might be of some use to them. They basically need to be trained in identifying scraps and categorising them accordingly,” said Singhal. “They would be given training in recognising wastes like e-waste, bio-medical waste, radioactive waste and industrial waste and handling them,” he said. Singhal said that apart from this, the municipal inspectors who check licenses of the merchants would be specially equipped to detect the presence of any radiation-active substance in the shop. “An additional responsibility will be imparted to the municipal officers who check the licenses of the scrap merchants. They would be provided equipments to check for any harmful radiations in the shop,” said Singhal. The Bill will be sent to the union home ministry through the Lieutenant-Governor of Delhi for obtaining the approval for its introduction in the Legislative Assembly of Delhi in the next session. DUMTA will consist of 11 members, including its chairperson and member secretary. The Chief Minister will be its chairperson. Speaking to the media after the cabinet meeting, Chief Minister Sheila Dikshit said the multiplicity of authorities was a major constraint in development infrastructure in the Capital as the government did not have any control over planning, land and land-use. This is affecting the transport sector. There is no coordination between agency responsible for constructing and managing road network, transport department and the traffic police that manages traffic. The Bill was tabled before the cabinet after union home minister P Chidambaram called for constituting an authority for integrated handling of all the issues related to transport. Accordingly, a Bill to provide for setting up of DUMTA for comprehensive planning, development and regulation of integrated multi-modal public transport and public transit infrastructure in Delhi was drafted which received the cabinet nod today, the Chief Minister said. She stated that in all the major cities, transport functions are integrated and handled by one agency which performs different functions through its subsidiaries or instrumentalities. This sort of mechanism exists in London, Boston, Singapore and New York. The provisioning function is being performed by Delhi Transport Corporation which acts both as an operator of the city bus system and also owner and manager of the common assets like bus queue shelters and bus terminals; the city inter-change points are managed by the transport department whereas roads and allied infrastructure are managed by Public Works Department and traffic is managed by Delhi Traffic Police. In the name of regulatory functions, the Department of Transport is responsible for registration of vehicles, issue of driving licences, permits for buses and other modes of transport, fixing of fares, etc. Even to perform the core regulatory functions like fare setting, route planning, the department does not have the necessary expertise. Today the agreement for the first cluster has been formally signed between the transport department and the private bus operator, Star Bus Services, owner of the first cluster of buses that will soon be rolled out. Conceptualized by Delhi Integrated Multi-Modal Transit System (DIMTS), the scheme will work on the total of 657 routes in Delhi— divided into 17 clusters. “Each cluster will be serviced by a single operator so as to eliminate the scope of competition between different operators. Normally with many private operators serving on one route, there is a lot of competition and at times the public has to bear the brunt with erratic delays and late arrivals,” said a senior DIMTS official, explaining the functioning of the clusters. “Thirty-two routes in south Delhi, including BRT corridor, will fall under Cluster 1. The buses will be running in the ratio of 60:40 (351:231) between DTC and Star Bus Services respectively. The buses will also stop at New Delhi and Old Delhi Railway Station and the three ISBTs – Kashmere Gate, Anand Vihar and Sarai Kale Khan,” the official added. “A total of 231 low-floor buses will comprise the first cluster. After six months from signing of the MoU, 40 buses will be delivered every month. And within one year, the operator will have to rope in all the buses on the cluster,” said a senior transport department official. The system will be monitored through a state-of-the-art Operation Control Centre (OCC). The OCC will ensure safe driving, route as well as schedule adherence by keeping a check on incidents of rash driving, overspeeding, route deviation, stopping at bus stops, etc. All this will be possible as the buses will be fitted with Automatic Vehicle Location (AVL) systems as well as Automatic Fare Collection Systems (AFCS). The Delhi High Court had earlier extended the deadline to phase out Blueline buses from south Delhi as the government had failed in finalizing the operator. The court suggested that the phase-out should begin once the new buses arrive. Meanwhile, the government has already floated the tenders for three more clusters, and is in the process of finalizing the operators. 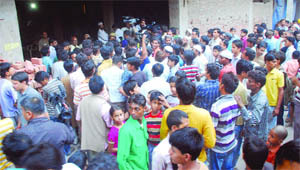 According to police, the incident took place around 4 pm in the house number 129/1, Shaheenbagh locality of Jamia Nagar. The victim has been identified as Mohammad Uzair, and is recuperating at city hospital with serious injuries in his hands and face. “The delivery boy of a courier company handed over the parcel to Uzair at his residence and left. As soon as Uzair opened the parcel, it exploded injuring him in the face and hands. There was a mild explosion,” said a senior police official adding that Uzair was rushed to Holy Family Hospital from where he was referred to AIIMS. A team of the crime branch, the special cell of the Delhi police and forensic experts also visited the spot and picked up samples to ascertain the intensity as well as chemicals used for the blast. Uzair lives with his wife and two children on the ground floor of the building and is engaged in construction business. While police is investigating the matter, personal enmity is the most likely reason for such an attack. “We are talking to his family and friends to know whether he has rivalry with anyone. The investigations are in the preliminary stage and it is too early to conclude something,” said a police official. Meanwhile, police is looking for the delivery boy and doubts if he belongs to a courier company. According to superintendent of police (city) A. K. Tripathi, on a tip-off, the police started searching vehicles on expressway near Mahamaya flyover. Around 5.15 am, a Maruti Zen car was intercepted and the occupants were asked to stop. But they moved on and drove towards Sector 94. The police teams followed them. Their car rammed into an electric pole, after which the criminals started firing at the police team. Policemen retaliated the firing. One criminal got injured while two others managed to escape. The injured criminal was rushed to the district hospital, where he was declared brought dead. He was identified as Farooq, alias Langda, a resident of Meerut. It was learnt that the criminals had stolen the Zen car from Sector 12 on March 27. A report about the theft was lodged by the car owner, Kishore Kumar, at the Sector 24 police station. Investigations have revealed that he was involved in 11 cases of robbery, attempt to murder and murder in Panipat and Meerut. The Panipat police had declared a reward of Rs 50,000 on his head. At Panipat, on May10, 2008, Farooq had killed one Sarvesh Pandey and robbed him of Rs 36.86 lakh. On March 20 2008, he had robbed Rs 5 lakh and some valuables from one Sushil Tyagi near Sai Baba Chowk in Panipat. In 2005, he had assaulted one constable, Sanjay Kumar, and stabbed him in Meerut. “In most of the cases, the writing in the MLC and post-mortem reports is not at all legible and a lot of time is consumed in deciphering the report. This adversely affects justice and unnecessarily consumes a lot of time,” the court said. Additional session judge, Sanjeev Aggarwal, made these remarks after hearing in a murder case was delayed due to the same reasons on April 7. The judge said that the post-mortem reports should be typed on a computer and MLCs should not be prepared by doctors who are not properly trained in forensic medicine as it resulted in incomplete information about the injuries and the associated findings. The court also ordered that the histo pathological report about the organs of the deceased should be submitted at the earliest. The judge has also sent a copy of these suggestions to the principal secretary, health and principal secretary, home, Government of NCT of Delhi, for compliance and circulation among all the medical superintendents of the hospitals of the Delhi government. The court has also asked for a compliance report on the next date of hearing, which is May 25. The maximum temperature touched 41.6 degree Celsius today as it equaled the maximum temperature of yesterday, which being the hottest day of the year so far. The minimum temperature was 24.5 degree C, which was five degree above the average. What is more, the Met department has forecast that mercury will continue to hover this level and could go up. Absence of any western disturbance, which usually brings storm and rains, is the main factor behind the hot and dry spell. The weather officials said temperatures would vary between 41 degree C at the maximum and 24 degree at the minimum tomorrow. With a scorching sun beating down in the day, roads have been relatively quiet with Delhiites preferring to keep indoors. The previous month had also seen high level of mercury with many days recording the highest temperature in the last decade or so. The university’s security wing today submitted its report on the incident to the proctor. The associate dean of the students’ welfare, Sachidanand Sinha, told The Tribune that Godawari dhaba, the location where the JNU Forum Against War on People had organised a public meeting was not a free venue and prior permission should have been taken for the event. “The organisers of the event were almost anonymous and the administration had made it clear that the programme was not held at the designated location,” said Sinha, who added that an all-organisation meeting had been called tomorrow to formulate a code of conduct for organising events in future. Representatives of the faculty would also participate in the meeting, he added. However, the administration also made it clear that all voices had space of expression on the JNU campus. “We are not here to decide whether killing tribals or CRPF personnel is right or wrong. Students who believe in different ideologies have all right to express them as strongly as they want while being tolerant towards other arguments,” he said. The atmosphere on the campus, meanwhile, stayed tense as the activists of AISA, DSU and PSU clashed with the students of NSUI and ABVP during a mess campaign in Mahi Mandavi hostel yesterday. The university also saw several rival students’ organisations coming together to form a joint anti-Naxal front. NSUI, ABVP and YFE are on one side and ultra Left orgniastions like AISA, DSU and PSU are on the other side. A joint statement released by the ultra Left wing organisations said they would not tolerate “hooliganism” of ABVP and NSUI members. Though the organisations said they did not support Maoist violence, the statement did not say a word against the recent killing of CRPF personnel in Chhattisgarh. One of the main students’ organisations in JNU, SFI, has challenged the ultra Left outfits, JNU Forum Against War on People and DSU, to “come clear on the recent killing of the 74 CRPF personnel and Maoist violence in general”. “The DSU in the past has justified the killing of SFI and CPIM leaders in West Bengal. We oppose such violence in the name of Left,” said Lenin, president, SFI. He said even NSUI needed to justify Congress’ alliance with Trinamool Congress, which is allegedly ganging up with the Maoists in Bengal. Bhattacharya conveyed his decision not to seek a second term to the JNU Teachers’ Association (JNUTA). “He told us that he would not go ahead with the proposal and a resolution that executive council was not willing for it would be sent to the ministry of human resource development, which had mooted the proposal,” said BC Tripathi, president, JNUTA. This is a dramatic turnaround as the proposal had sparked off a widespread protest and many had claimed that the MHRD had sent the proposal for the benefit of Bhattacharya, whose term ends in June. The JNU teachers had yesterday hardened their stand against the move at their general body meeting and decided to “comprehensively reject the recent MHRD letter suggesting that central universities amend existing statutes”. “Members at the general body meeting unanimously resolved that existing Statute (Clause 4 of Statute 3) has served us well so far and there is no compelling circumstances that warrant the amendment of statue in any form,” said Tripathi. The teachers said the stand had no individual linkages and was based on a principled position. The cabinet has also given nod for absorption of Indraprastha Power Generation Company Limited (IPGCL) employees in Pragati Power Corporation Limited (PPCL). Besides, the cabinet has given its approval for construction of Phase-I of west campus of GGSIP University with an estimated cost of Rs 187 crore. Chief Minister Sheila Dikshit said that the government had allotted 22,749 industrial plots between 1999 and 2006 to facilitate relocation of industries from residential or non-conforming areas to conforming zones. Of them, the construction has taken place on 8,641 plots. There is no construction on the remaining plots. Allotment of these plots will be cancelled after giving the last chance to the plot holders. 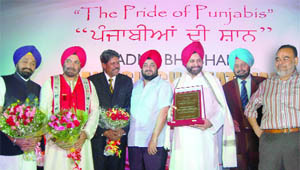 Dikshit further stated that the city government is committed to developing Guru Gobind Singh Indraprastha University (GGSIP) as an excellent centre of higher and professional education in the country. It is presently functioning from the premises vacated by Delhi College of Engineering at Kashmere Gate as a temporary arrangement. Chief metropolitan magistrate, Kaveri Baweja, issued the warrant against Rita Mandal, principal of a Government English-medium School in Khera, Bandra (east), Mumbai. The court had issued notices to the principals of two schools in Azamgarh and Maharashtra where Ahmed had studied. The court, however, took on record the data which the principal of the school in Azamgarh had brought. The school in Azamgarh is the one where Ahmed reportedly studied from Class IX onwards. The data included a record of Ahmed’s school-leaving certificate and a document of the Uttar Prdesh board. However, the principal failed to bring any original application form, affidavit or any other document that had Ahmed’ date of birth. The principal said that the school did not have any document containing Ahmed’s date of birth, as such records were either not submitted at the time of his admission or were taken back. There is no clear information about it, he said. “There is no record if any original document was submitted at the time of Ahmed’s admission to the school. I cannot say who stated his date of birth as October 3, 1992,” the principal added. asked the principal a few questions on the criteria on which the school admitted students. A suspected Indian Mujahideen (IM) operative, Ahmed, alias Chhotu, was arrested on March 6 by the Anti-Terrorism Squad of the UP police from Siddarth Nagar, about 300 kms from Lucknow. “On April 2, when I went to the estate manager of our society, R. S. Chauhan, to complain about a water boy, Vikral, who is responsible for the supply of RO (reverse osmosis) water to our flats, the two tried to assault me. It was my husband who saved me,” alleged the victim, Mona Sharma, adding that she lodged an FIR in this regard the same day. “But unable to get justice from the Noida police, I have now moved the NCW,” she said. “I am so frightened that I don’t even go downstairs for fear of being assaulted,” she said further. However, Chauhan has denied the allegation. “It was the woman who has been assaulting and threatening the apartment staff. We have lodged a counter FIR against her,” he said. Sharma also alleged that the police had turned a deaf hear to her complaint. “Because the accused are politically influential, the police is not taking action against them,” said Sharma. Chief metropolitan magistrate Kaveri Baweja recorded the statement of Kishan Kumar, who is the landlord of the premises in which the complainant Rajat Nagrath has his offices. He added that Nagrath was his tenant and had his office in the ground floor of his building and that he is still his tenant. During cross questions, he denied having used any parallel lines for the connection. When counsel for Salem, Arvind Shukla asked for any rent agreement produced by him before the court, Kumar replied that neither did the investigating officer ask for it nor did he produce the same. Meanwhile, the court has fixed April 22, as the next date of hearing. Salem, extradited from Portugal in November, 2005, is being tried along with Ishtiya Ahmed, C P Rai and Sadiq Ali for allegedly making threat calls to businessmen Puneet Khanna and Rajat Nagrath, owner of Delhi-based Allied Communications, demanding Rs 1 crore in 2002. The study named, Good Governance Makes Delhi Spend Less On Healthcare, rates the citizens of the city as the healthiest in the region, attributing it to their highest level of health consciousness. Also, the study says, the city’s government and the local administration have succeeded in providing healthy environment and hygienic conditions to their citizens in a much better way than the other states in the region. The other reason is that the city houses the leading healthcare institutions in private and public sectors, which have advanced amenities. 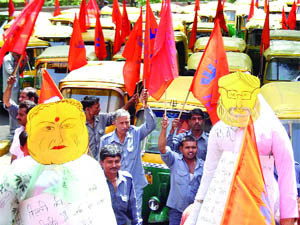 According to MCD officials, the companies have been urging the MCD to regularize their operation for quite some time. Therefore, the civic body has decided to organize the camp on April 20 at its Ambedkar Stadium office . The camp will dispose of the cases on the spot . The municipal officials said that the executive engineers of the building department of all the 12 zones will help in the camp. The companies have erected about 5,364 cell phonetowers under the jurisdiction of MCD. A large number of them have been erected without permission. As many as 300 cell towers were recently sealed. "The MCD has formulated a policy for permitting the installation of structure for cellular services on various premises falling within its jurisdiction. We have forwarded the copy of the policy to cellular companies," added the municipal officer. According to fire officials, the blaze was reported from Arunodaya Public School located in Karkardooma Institutional Area near Karkari Mod. The cause of the fire is to be ascertained. With rising temperature, the city is witnessing incidents of fire almost daily. Yesterday, fire incidents were reported from Mundka plastic scrap yard and the other in jungles near JNU. The schme is open for anyone getting salary or pension from the central or state governments. According to the police, Siraj (27), Nizam (28), Farid (22) and Suresh (22) were apprehended from near a bus stop in Jahangirpuri last evening. “They were arrested when two policemen chased four men who were fleeing after robbing one Sanjay. The victim raised the alarm and chased them. The policemen joined him and managed to catch the robbers,” said N S Bundela, DCP (NW). The FIR says that the former chief manager of Punjab National Bank, Shalimar Bagh Branch, entered into a criminal conspiracy with the proprietor of the private firm. The proprietor got cash credit limit of Rs 240 lakh on the basis of fake documents and, subsequently, he did not use the credit for the purpose it was received. Instead, he siphoned off the fund on the same day. The proprietor did not repay it to the bank.